Three compact-sized DMM s for basic, low-cost test and measurement troubleshooting. For everyday field service applications or an easy-to-use meter for home, workshop, auto, RV, or boat. Measure AC and DC voltages, Current, Resistance and Diode Test. 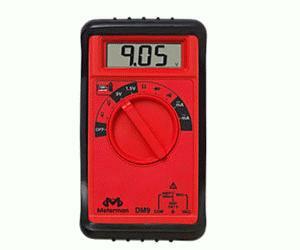 Model DM7 and DM9 also measure battery voltages under a loaded condition. All three are small enough to fit into any tool kit.